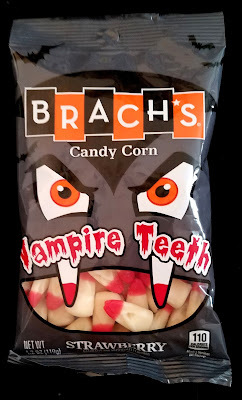 The concept of Brach's Strawberry Vampire Teeth Candy Corn is so clever. 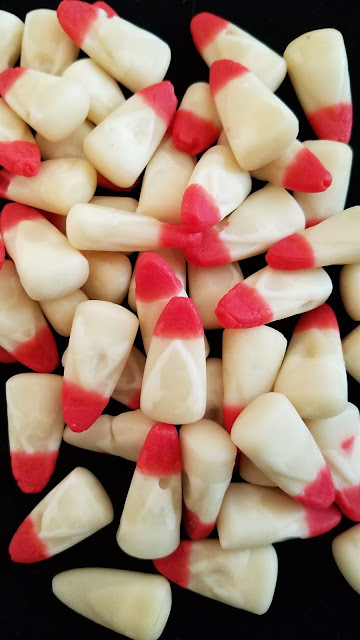 White candy corn tipped in red is an absolutely perfect candy creation in honor of the Halloween holiday. Unfortunately, strawberry candy corn are so icky. The strawberry tastes of chemicals--even the aroma is unpleasant. 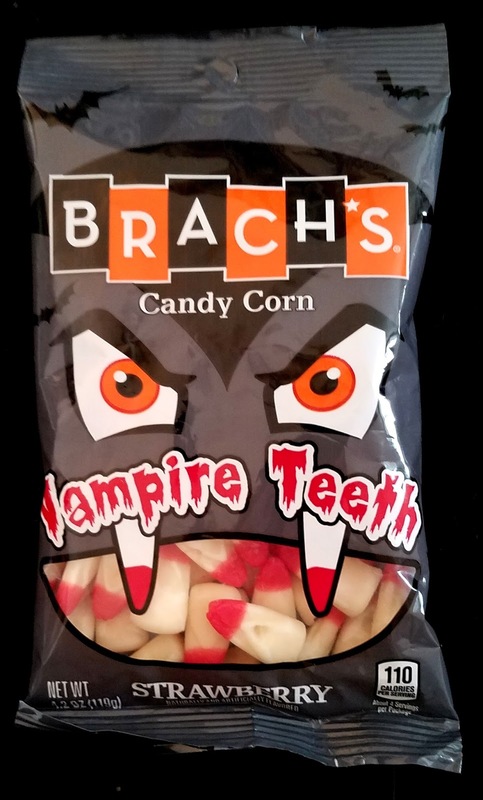 I think Brach's should bring back this concept but with either Cherry, Fruit Punch, or Cinnamon flavors. 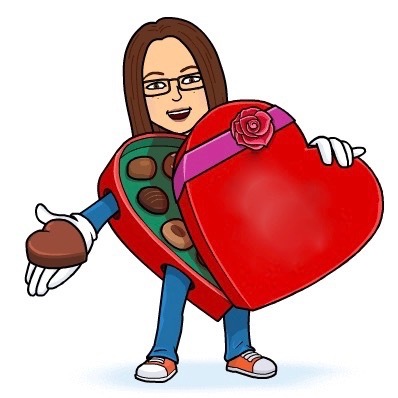 In the meantime, there are too many traditional candy corns waiting to be consumed to waste your time with this strawberry variety.